The availability and integrity of data is critical to the business enterprise. When a problem occurs and data is compromised or unavailable, it is paramount to recover from such an 'outage' as quickly as possible. Equally important is the ability to recover efficiently by quickly identifying recovery assets and minimizing the recovery scope, required resources and effort. 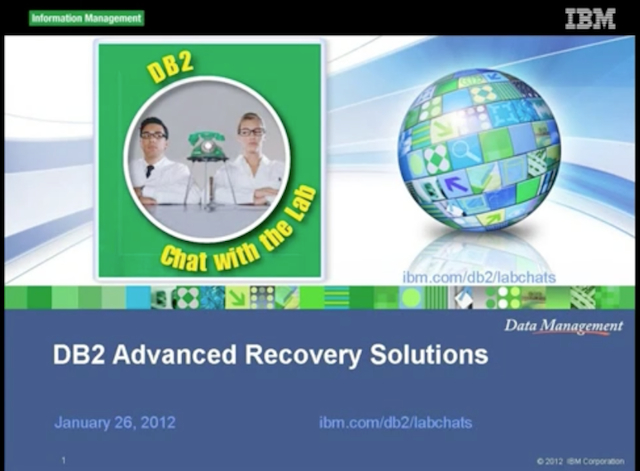 This session will explore in detail the Advanced Recovery Solutions for DB2 for LUW.